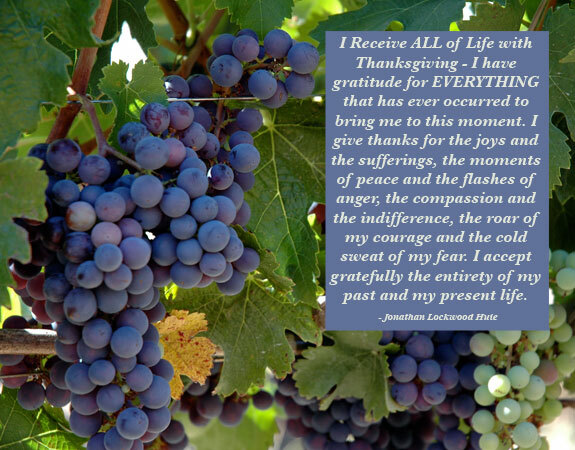 Welcome to these quotes about the power of gratitude and thankfulness. I have gratitude for EVERYTHING that has ever occurred to bring me to this moment. the compassion and the indifference, the roar of my courage and the cold sweat of my fear. Gratitude is the inward feeling of kindness received. Thankfulness is the natural impulse to express that feeling. Thanksgiving is the following of that impulse. If the only prayer you said in your whole life was, Thank you, that would suffice. give thanks for the morning light, for your life and strength. Give thanks for your food, and the joy of living. If you see no reason for giving thanks, the fault lies with yourself. is a step toward achieving something bigger and better than your current situation. Our "Rainbows and Butterflies" are the small miracles of our life - the little things that are so easy to overlook, yet so awe inspiring when we take a moment to notice and to pay attention. Give thanks for the rainbows, for the butterflies, for all God's creatures - large and small, for the bright blue sky and the soft fog and the gentle rain, for the tree veiled in the season's first frost, for the baby's laugh, for the touch of a hand and the whispered "I love you." If you concentrate on what you don't have, you will never, ever have enough. In everyone's life, at some time, our inner fire goes out. It is then burst into flame by an encounter with another human being. so, let us all be thankful. It can turn a meal into a feast, a house into a home, a stranger into a friend. those transcendent moments of awe that change forever how we experience life and the world. but to live by them. and into the lives of all those around you. A person can almost be defined by his or her attitude toward gratitude. or take them with gratitude. Life is NOT "Supposed to be Fair." Know that there is no single way that life is "supposed" to be. Demanding that life meet our expectations is a sure fire recipe for a miserable existence. Life is a game with no rules. Life just happens to us regardless of our best intentions. Our only path to happiness lies in being open to receiving whatever life throws at us - with Gratitude. Have NO Expectations of life. Appreciation is a wonderful thing. It makes what is excellent in others belong to us as well. never from making any demands whatsoever upon others. and accept the rest as important lessons. When was the last time you told those closest to you how grateful you are for their friendship? See more inspirational quotes and sayings.